Wow, has it been a week already since my last Instagram catch up post? 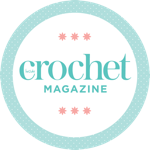 This week has been busy on the crochet front – I have finished my Sophie’s Universe blanket (big reveal post is in the offing!) and have been working on some new Tunisian crochet ideas on my commute. Hmmm… not quite as many cats as usual this week! Having said that, I’m currently typing this post with a cat inconveniently positioned between me and the keyboard… so it looks like next week might be different! Gorgy blanket! I love all the color combos and different stitches! I can imagine that it took some time to make…especially with your helpers. LOL I’m working on my first ever blanket, a simple ripple, but I’m excited to pick out a traditional Granny Square next, maybe.